INTIMIDATION: the innate ability to strike fear in the hearts of opposing hitters. This Rich "Goose" Gossage had in greater abundance than any big league pitcher of his generation. At 6'3", cap pulled low over his glowering, mustachioed countenance, Gossage was a terrifying whirl of arms and legs from which emerged 100 mile-per-hour Hall of Fame-certified heat. Signed as a free agent by the World Champion New York Yankees in November 1977, he displaced incumbent, Cy Young-award winning closer Sparky Lyle, saved 27 games and helped the Bombers to repeat. While Lyle was traded to the Texas Rangers in November '78 -- famously going from Cy Young to Sayonara -- the Goose continued to roll up saves the old-fashioned three-inning, nine-out way until he too left the Bronx Zoo for one in San Diego. There he paid immediate dividends, joining ex-Yankee Graig Nettles, ex-Los Angeles Dodger Steve Garvey and future Hall of Famer Tony Gwynn in transforming the Padres from perennial also-rans to National League champs. 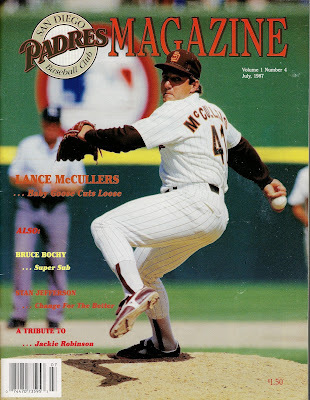 By 1987, Gossage -- then 35 -- had become something of an intimidator-emeritus, a role model for a young man audaciously burdened with the nickname "Baby Goose", up-and-coming Padres closer Lance McCullers. A shade shorter than Gossage at 6'1", McCullers was still cut from the same basic template: big, hard-throwing right-handed relief pitcher. After making his big league debut in 1985, at the tender age of 21, Baby Goose spent one full season as understudy, logging 136 innings to Gossage's 64, saving 5 games to his mentor's 21, then took over as closer in 1987. McCullers appeared in 78 games, finishing 41, as San Diego sank to the N.L. West cellar. While he went an unremarkable 8-10, he saved 16 games while whiffing 126 batters in 123 innings, fulfilling some of the weighty promise of his moniker. But it wasn't meant to be. 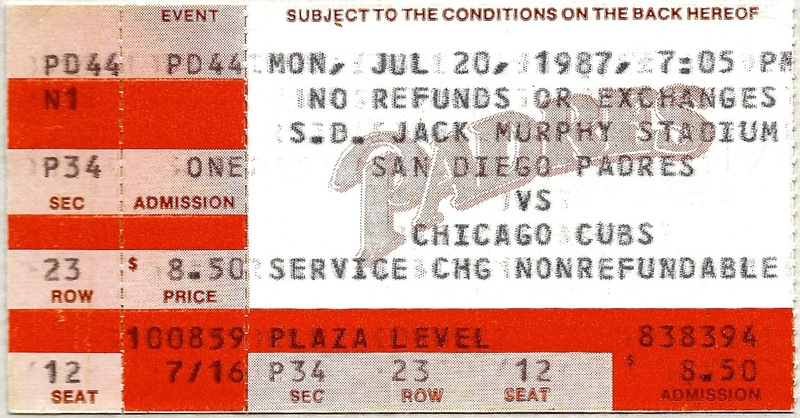 Baby Goose saved just 10 games in 1988, even as the team rebounded to third place after sophomore manager Larry Bowa was replaced by Jack McKeon. Four days after the Dodgers defeated the Oakland Athletics in the World Series, McCullers, fellow hurler Jimmy Jones and outfielder Stan Jefferson were traded to the Yankees for slugger Jack Clark and pitcher Pat Clement. There he briefly teamed again with the aging Gossage, but in 1990, the Yankees bottomed out, finishing dead last for the first time since 1966. McCullers appeared in just 11 games for New York before being dealt to Detroit, where he pitched in 9 more. He missed the 1991 season before briefly resurfacing with the Rangers in 1992. They too cut loose the Baby Goose and at the age of 28 -- after 306 games, 526.1 innings pitched, 442 strikeouts and 39 saves -- he was done. Twenty-three years later, the Houston Astros recalled from the minor leagues pitcher Lance McCullers Jr. A starter, Grand Baby Goose is now in his third season with the A.L. West leaders where his record is 7-2. His dad is appropriately proud. OCT. 27 ADDENDUM: Game 3 of the World Series, now tied at 1-1. Yu Darvish starts for the Los Angeles Dodgers, while McCullers Jr. gets the ball for Houston. 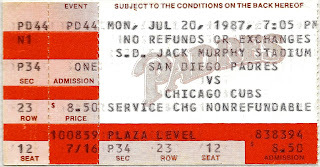 In the Summer of 1987, soon after graduating from college, me and my buddy Chris took a baseball tour of California. Mostly baseball at least, and hell of a good time. This is the first part of a series inspired by those 16 days on the road.